Meet our management team. Fortune Empire is managed by world-class experienced talent. The team has the collective skills to locate the best deals, appropriate capital, and ensure a smooth transaction for every member. Please feel free to contact any of them with your questions. 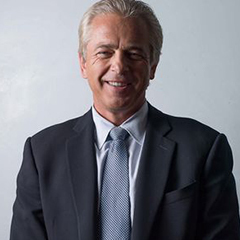 Steven Trabish is Fortune Empire's Managing Director. Trained as a lawyer he began his career working with a number of domestic and international corporate clients. He built his own firm and found that he was sought after for his skill in structuring investment transactions. His career led him to Halcyon Partners where he became Managing Director. He chose to stay in the financial services sector and over the last several years has presided over the placement of some $100 million in debt and equity financing. Steven brings vision and the interpersonal glue that holds the team together. 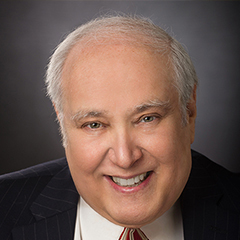 Mr. Schneider has served as Managing Director of Allen & Co. LLC for more than 34 years. He has served as the Chairman of the Buoniconti Fund to Cure Paralysis for 25 years. He has also been on the Board of the National Mentoring Partnership for 12 years. His addition to the team is an unparalleled level of experience and relationships to enterprise at a time when mobile becomes the defining term for user valuation for audiences, artists, producers, and consumers. He has wealth of M&A experience from Allen & Co. and his long-term relationships with other leaders in the media and entertainment community open doors to new opportunities. He has been a Member of Advisory Board at Loton, Corp. since October 4, 2013. He has been a Member of the Advisory Board at Mandalay Digital Group, Inc. since April 19, 2011. He has been a Member of Board of Advisors at IntelliCell BioSciences, Inc. since October 2011 and NeuMedia, Inc. since April 19, 2011. He served as an Independent Director at Stratus Media Group, Inc. from October 2012 to December 9, 2013. Mr. Schneider also founded The Allen & Company Sun Valley Conference, widely considered one of the most influential gatherings of international business leaders, annually. Frederick Newcomb serves as our Managing Director of Investment Banking & Global Finance. In today’s international financial world, design and buildout of financial instruments has risen to mission-critical funding needs, ranging from local startups to country financing. Owner and President of Newcomb and Company for over three decades as an NASD/FINRA Registered General Securities Principal and Registered Representative licensed to sell securities, he is known for financial services institutional and mutual fund building, development, and sales. This led to specialization ln investment banking, wholesale syndications and the development of investment pools, serving large and small national and international financial institutions, agencies, and even governments themselves. During that period, as President of AIM Financial Services, he guided that financial services industry company, as a provider of software, systems, through data processing and mutual fund transfer agency and investment banking, from arranging the financing of Samsung’s entry into the computer market in the United States in the commercial arena, to the creation and sales of investment companies in the mutual fund, insurance, hedge fund and venture capital industries and eventually on a worldwide basis. Prior to AIM, Mr. Newcomb was employed by Putnam, where he was Vice President of the Putnam Daily Dividend Trust and Senior Vice President and Director of Marketing for Putnam and Eberstadt, working in the areas of load mutual fund distribution through broker/dealers, the introduction to no load institutional and retirement markets and the creation of the bank market for the Putnam Funds, which became half of Putnam’s assets. Prior to Putnam, he was Director of Marketing for the Scudder Funds for eleven years. In the insurance industries, he served in several management positions at NEL Equity Services Corp. including national sales manager for equity products, a broker/dealer, and distributor for New England Life Insurance Company, the firm that acquired Mr. Newcomb's first financial services industry employer, Loomis Sayles & Company, where he was an officer of the Loomis Sayles Funds. The affiliation with insurance companies has spanned Mr. Newcomb‘s entire career through to today. 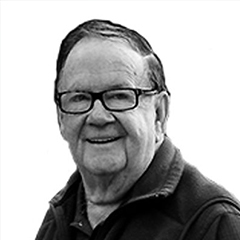 A pioneer of the mutual fund industry, Mr. Newcomb was one of the founders and directors of the No-Load Mutual Fund Association (NLMFA), where he served as industry President. He also was a director and Executive Committee member of the National Investment Company Services Association (NICSA) as well a member of the Investment Company Institute (ICI) and the Investment Counsel Association (ICA). His industry firsts include: the first cash management system for money market funds; the first wire transfer between unaffiliated investment companies; the inclusion of 403(b) plans placed into ERISA; the first mutual fund 401(k) plan filed and produced under ERISA; and the first international mutual fund merger, involving Loomis Sayles Canadian & International Fund and Scudder International Investments Fund. As part of his practice at Newcomb & Company, Mr., Newcomb combined investment banking and financial services by building the Advantage Trust Funds for Great American First Bank, the Sierra Trust Funds for Great Western Bank, sold the original Pro Funds to the American Medical Association to create AMA Funds and did the consulting analysis for the sale of Stein Roe and Farnham to Liberty Mutual Financial Services. He provided the original consulting for the formation of the Morgan Stanley Mutual Funds, built the Alexander Hamilton Life Variable Annuities and restructured the investment company services structure for Riggs Bank of Washington, DC. Mr. Newcomb has also built international and foreign fund portfolios outside of the United States. An integral part of Mr. Newcomb’s work has been the reorganization of the structure and operation of mutual and investment funds and their service support systems to ensure stronger compliance, reduce costs, provide superior service and to increase sales and assets. The background and experience to do this work were at the many fine and prestigious investment firms in his earlier career that provided Mr. Newcomb with the opportunity to create, build, sell, deliver and support what became billions of dollars of industry assets. Mr. Newcomb is a graduate of Boston University, attended the University of Maine School of Management and is a graduate of the Career Life Underwriting School. He has served on the Board of Directors of the US Boston Funds and Board of Advisers of General Defense Systems and other various companies. 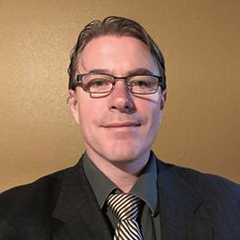 Chris Majer is the COO of Fortune Empire. He brings 30 years of experience in the corporate consulting world to the firm. Over the years he has helped shape the future for companies that include AT&T, Microsoft, Cargill, CapitalOne, Allianz, Amgen, and a host of others. He is a master at crafting opportunities, structuring relationships and transactions, and spotting emerging trends and possibilities. Chris is a former rugby player with a masters degree and ensures that our clients come first. Chris brings the drive, energy, and focus the team needs to fulfill our ambitious mission. William M. Noe is Fortune Empire’s specialist for real estate, infrastructure, and alternative investments. 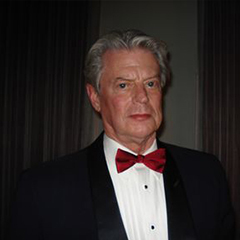 He brings nearly 50 years of experience on Wall Street in the financing and management of technology ventures, resource projects from oil & gas exploration and development, to precious metals mining and real estate development. He has tempered his deal making and financial market expertise with the realities of “hands-on” management of innovative companies in the competitive business environment. Mr. Noe currently has investments and management responsibilities in several high tech companies. He serves as the President of AmeriStar Network, Inc., a public company (AMWK.PK) acquiring technology enterprises focused on cyber-security solutions, cloud-based internet services, and “Software-as-a-Service” products. He serves as the Chief Financial Officer of nVIAsoft, Inc., a company with biometric identification technology licensed from a major US Government affiliated laboratory that is non-invasive, leaves no trace and is as accurate as fingerprints and iris scans. In addition, Mr. Noe is the President of American Energy Glass, Inc., a company exploiting the nano-technology employed in creating clear glass that can function like a solar panel in generating renewable energy, while at the same time offering resistance to hurricane damage. Mr. Noe is also the Managing Partner – US Operations for ADAC Investments Management, LLC which manages over US$1 Billion in a real estate development fund, ADAC Overseas Properties, LLC based in Hong Kong with investments in Malaysia, Australia, Japan and now the USA. The fund was established in by partners in China responsible for the development of over 100 million square meters of condominiums, office buildings, retirement villages, retail and theme parks in many cities throughout China. He holds a M.B.A. (Finance) from the Harvard Business School and a B.A. (Economics) from the University of Southern California and brings deep wisdom and experience to the team. 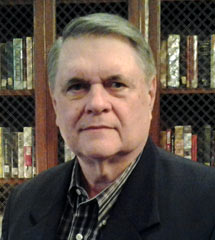 Robert Whitmore is Fortune Empire's media & entertainment specialist. He has over 25 years of experience in the entertainment and technology industries. He co-founded NTECH Properties, Inc., VuShaper, LLC, and Motivideo Systems, Inc., companies that have developed innovative technologies including self-assembling video delivery technology. Bob was chairman of the pioneering electronic music synthesis manufacturer Octave Plateau Electronics located in New York, which developed the first rack mounted synthesizer, Voyetra™, and the highly successful Sequencer+™ line of music software. He has served in a number of senior executive roles in the media and entertainment industries, as a producer at Warner Brothers and also for many well received independent productions in the entertainment industry. 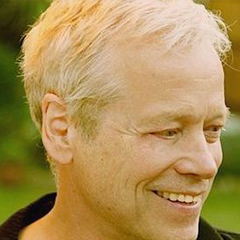 Among his feature film activities, he was Executive Producer of Runaway Train, which garnered three Academy Award nominations. He was Supervising Producer of Texasville, the sequel to The Last Picture Show. Bob makes all of this experience available to our clients in the media and entertainment sectors and brings a creative spark to the team. 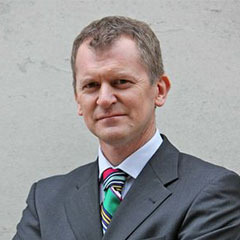 Jonathan Morley is one of Fortune Empire's European executives. Jonathan has a background as Board Director of major wealth management businesses for over 20 years, but during the last ten years has focused on his own firm delivering a ‘multi family office’ service to UHNW clients both private and corporate. Jonathan has a global client base and has a significant Asian clientele. Jonathan delivers a range of services which has increasingly focused on M&A, investment, and alternative investments for major clients across multiple sectors. He sits in the middle of the client relationship and coordinates their requirements irrespective of whether it is financial, organisational or lifestyle. His client base is significant and he generates significant new opportunities to bring to Fortune Empire and our clients. 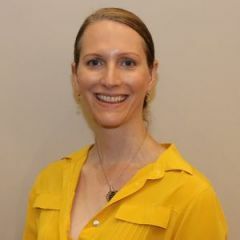 Chloe Sowers serves as Fortune Empire's Chief Technology Officer. She brings to the team great experience in building secure and stable IT platforms and apps for a number of financial services companies. The list includes Bloomberg LP, E*Trade, Verizon, and AT&T. 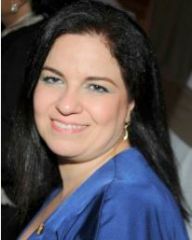 In addition she has done work in the public sector for the City of New York and the IMF. She holds a B.S. in Computer Engineering from the University of South Florida. She is steeped in the technology infrastructure requirements of the financial sector and brings that particular skill set to bear in building the secure technology for the Fortune Empire Platform. Jim Elvidge brings a vast array of multi-media and marketing expertise to Fortune Empire, defining the strong branding that Fortune Empire is built on. Jim had his beginning in the music and media industry over 20 years ago, accumulating numerous credits to his name. His creative edge and savvy for consistent branding and innovative technology offers a full circle of excellence to Fortune Empire’s continuing drive for unique visual presence and leading social alliances. Iman Ousseyran is Fortune Empire’s Executive Director in UAE. She is in charge of building new and maintaining existing relationships in UAE/GCC and Africa. Iman brings over 36 years of experience in variety of fields such as investors relations, sales & marketing, logistics, HR & legal functions of various for-profit, non-profit companies and public sectors globally. Iman is the CEO and Principal Consultant at Laurel & Tercel, a management consultancy and corporate learning & development company. Among her inventions, she invented one of a kind costs cutting tools that helped in saving millions of dollars and sustainable higher profitability over the years. Past experiences include various senior management positions within multi-national organizations including: Smith & Nephew, British American Tobacco, Chanel, Fattal Holding, and MEBCO Bank. She also spent many years in academia as visiting lecturer and faculty member in universities such as Alfaisal University, Riyadh, KSA, Masdar University, Abu Dhabi, UAE and others. She was honored for reaching a level of recognizable success in the field of Management Consultancy by Madison Who’s Who of Executives and Professionals Iman currently serves as the Chairperson of committee at International Union for Sustainable Development for the Arab and African countries under UN. Iman also serves as a board member and marketing advisor of World Green Citizen, France. She is a member of The Institute of Business Consulting (IBC) and The Chartered Management Institute (CMI), recognized for consulting in world trade with special consulting focus by the United Nations Economic and Social Council (ECOSOC). She is also a member of Rotary Club Dubai where she is the chairperson of PR committee, Global Study Exchange and past board member. She served as a past President of The International Business & Economic Development Institute (IBEDI), UAE chapter. Iman mentors and coaches young entrepreneurs with their ventures as a part of her support to the community. During her free time, Iman enjoy writing poetry and articles in English & Arabic for her blogs and social media followers. She is an avid fan of gardening flowers. She received under undergraduate degree in law from Lebanese University. She is a graduate of American University of Beirut with an MBA. She also received degrees from various educational institutions throughout her life and continue to pursue higher educations. El Varah Mohamed Lemine Doua is a Fortune Empire’s Executive Director in Africa and the Middle East. He brings wealth of experiences in international trade and transportation. El Varah is the founder and CEO of Mauritrans Shipping, an international logistics services company. 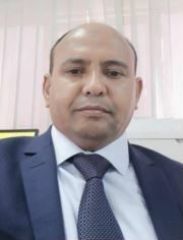 Prior to that, El Varah spent 12 years at Teissir Shipping SA, leading various projects such as Maritime Coordinator of the Aftout Essahli, the largest pipe drinking water project between Nouakchott & Rosso in Mauritania between 2007-2009, shipping coordinator of the DANA Petroleum/Petronas Drilling project from 2010-2011, shipping coordinator and operations project leader during the Tullow Oil drilling campaign in 2014, and acquisition of the shipping agency contract with Kosmos Energy in 2015. El Varah received his undergraduate and master’s degrees in economics from Zouerate State College in 1988 and 1999, respectively. He is fluent in English, Arabic and French.